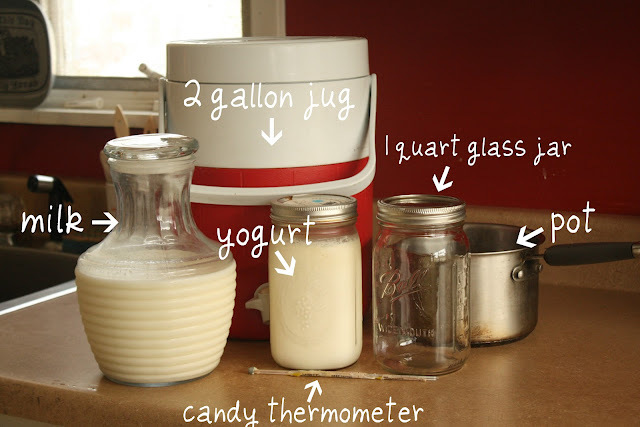 I posted before about how to make yogurt. I have recently changed the way I do it though, so I wanted to share. 1. 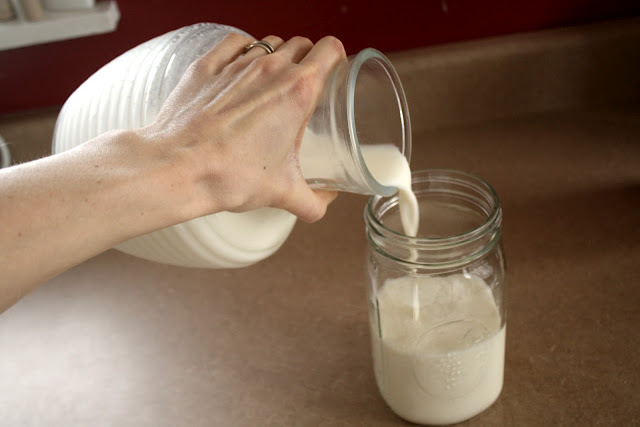 Pour your milk into whatever sized jar you are using, leaving some head space for expansion. 2. 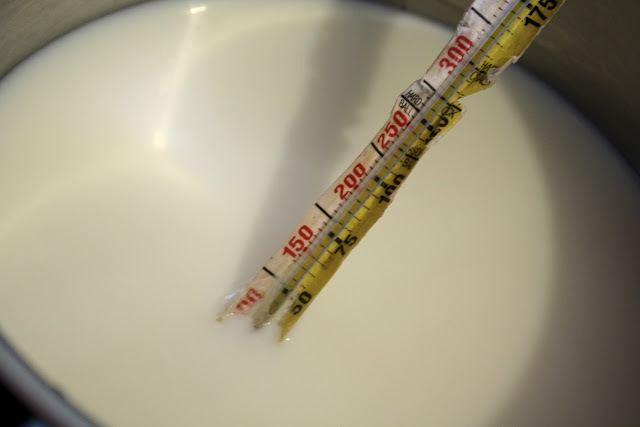 Pour milk into a pot, and on very low heat warm to about 110/115 degrees. Usually takes me about 6 min using 1 quart of milk. 3. 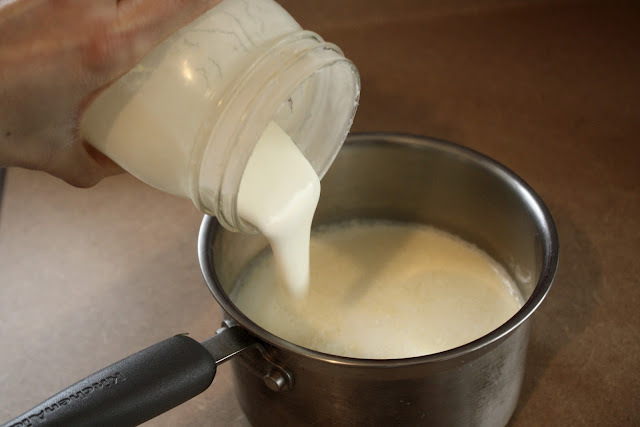 Add your starter/yogurt (1 Tbsp yogurt or 1/8 tsp powdered yogurt starter per 1 quart of milk) and stir. 5. Then wrap the jar with towels and place in the insulated jug, placing more towels on top to fill the jug. 6. Leave the jug on the counter or kitchen floor or wherever to culture for 24 hours. That's it! You will then have super nutritious yummy yogurt. We sweeten ours with honey and add whatever toppings we'd like! If this happenes DO NOT throw it away. It is still perfectly safe to consume. It won't have the creamy texture, but can still be used nicely to make smoothies or for baking. You can also try placing the jar in hot water for a bit at any point (after it has cultured for 24 hours and even if it has been in the fridge) to try and thicken it up. Although most homemade yogurt will tend to be a bit thinner than storebought, I have had some batches turn out super thick. If you are a big yogurt eater I highly recommend trying to make your own. It is so much more nutritious for you without ANY additives or sugars and way cheaper. 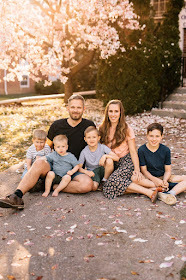 Let me know if you give it a try, and if you have any questions!